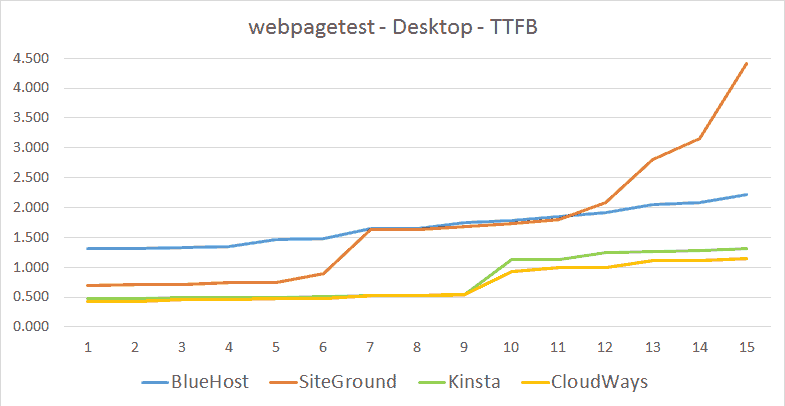 Jump directly to the Hosting Comparison Results below. 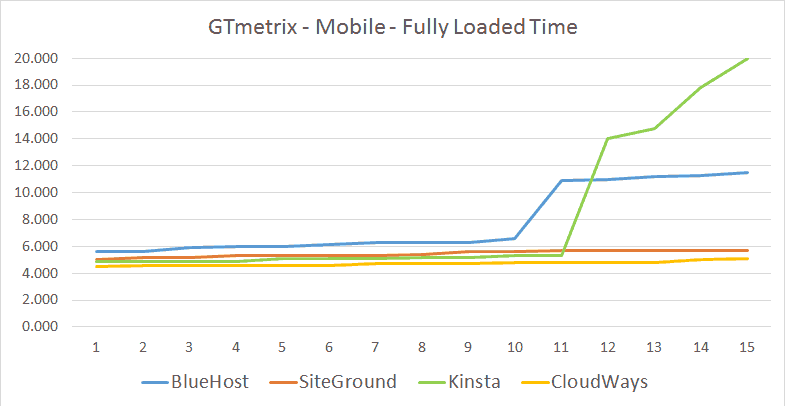 My blog is dedicated to improving website page speed and decreasing website loading time and when I launched my site, I was a little disappointed with the loading time of my pages, even though my page score is 100/100 in GTmetrix (you can see here How To Improve Page Speed Score to 100). 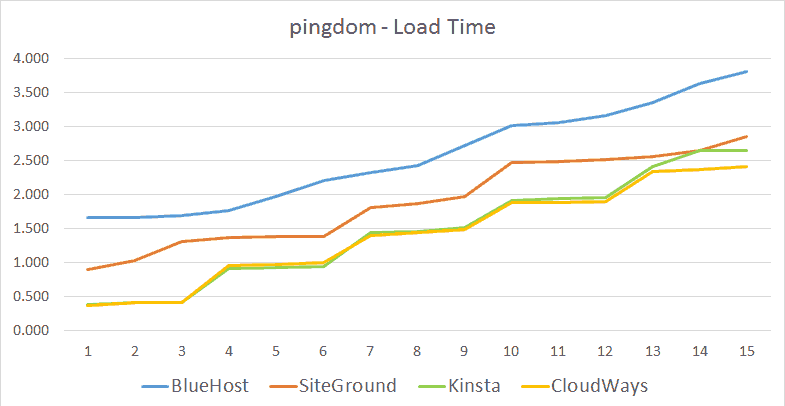 When I saw that my page loading time was not really fast, I started looking for a different hosting company specialized in speed. In this comparison I will show you REAL results, all done by me, in March 2019. 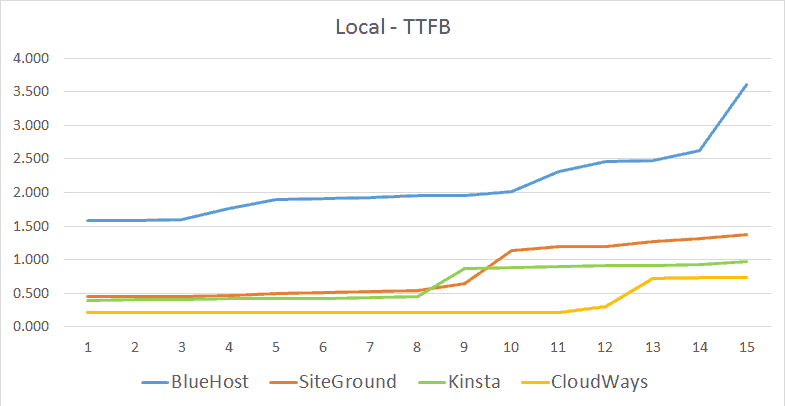 I actually paid for every hosting company so I can check all of them with the same configuration. 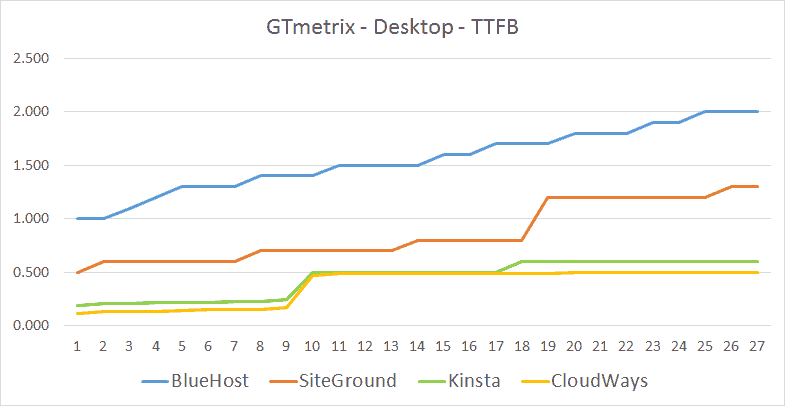 I compared the cheapest BlueHost shared server, the most expensive SiteGround shared server, and the cheapest Kinsta & CloudWays cloud / dedicated servers (see prices in the table below). 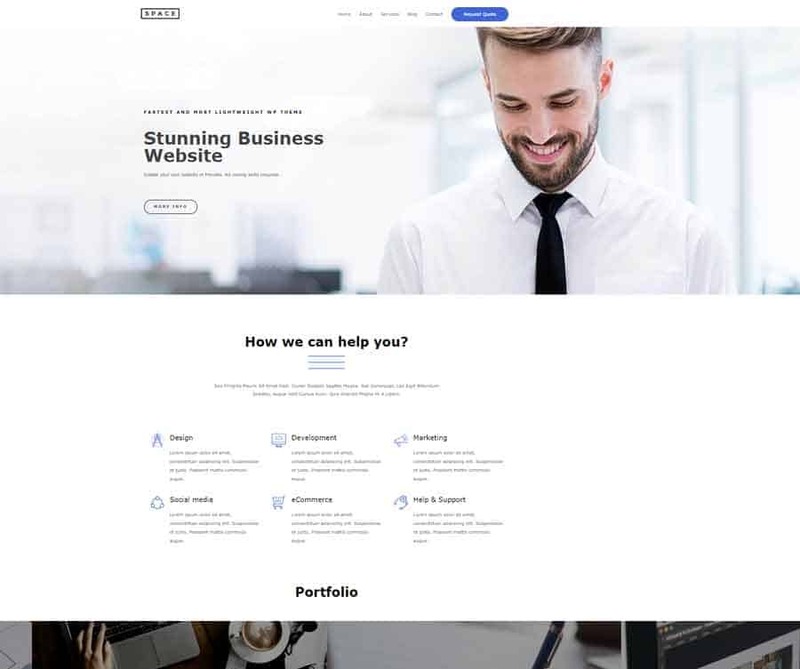 In each hosting company, I installed a clean WordPress (5.1) with a fast theme (Astra). 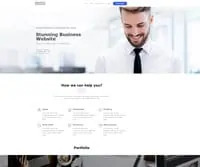 I installed the Astra Starter Sites in order to have a real site to test on and chose the Agency free starter site, installing the four plugins this site needs (Astra Widgets, Contact Form 7, Elementor, Ultimate Addons for Gutenberg). 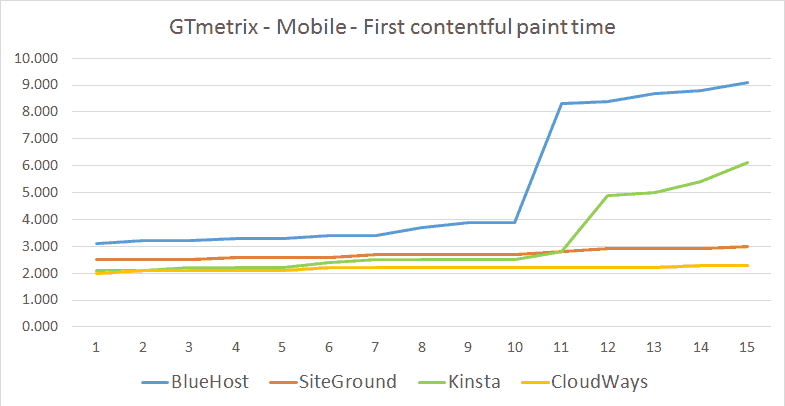 I didn’t use CDN, although Kinsta & CloudWays offer it in their account, and I even disabled the cache plugins (SG Optimizer in SiteGround & Breeze in CloudWays), so I could see actual response time from the servers. 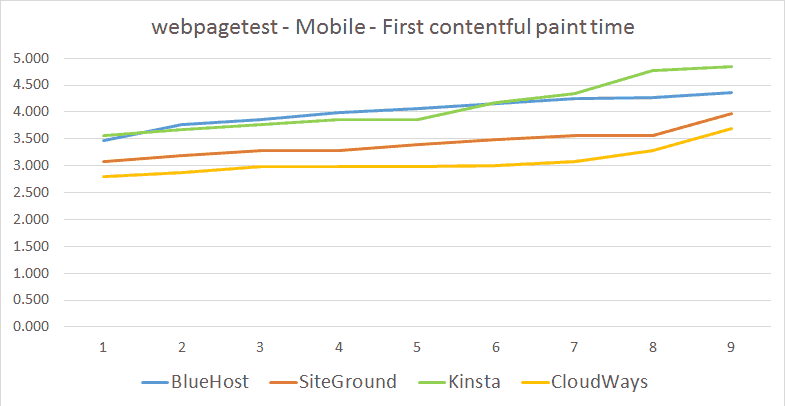 Both CDN & cache improve performance, but influence the comparison results and I wanted to see the server response time before page improvements. 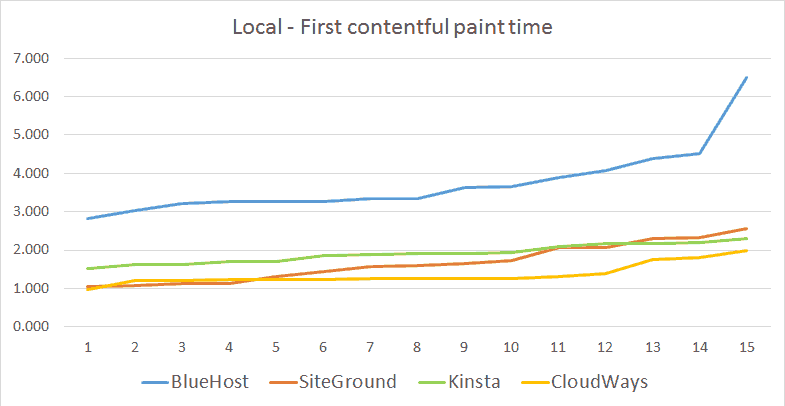 First contentful paint time (FCP) / Time to start rendering – time elapsed until any content is painted (the browser starts to render the first bit of content). This is a very important value, because only then does the user get feedback that the page is actually loading. 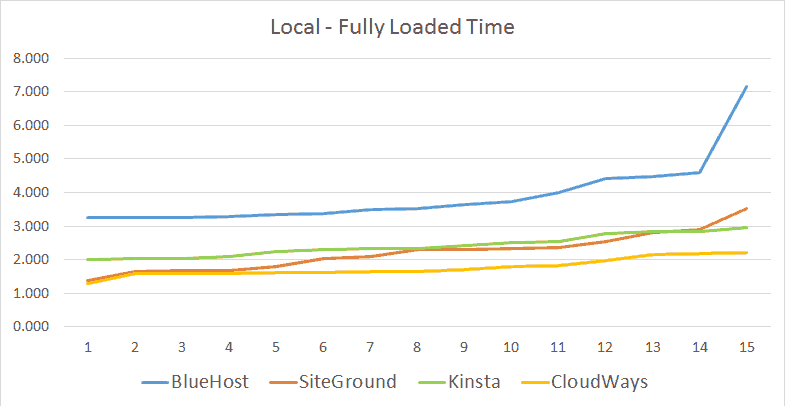 Fully Loaded Time – time elapsed until the page is fully loaded. The tests were made from multiple places around the globe, using the above tools. 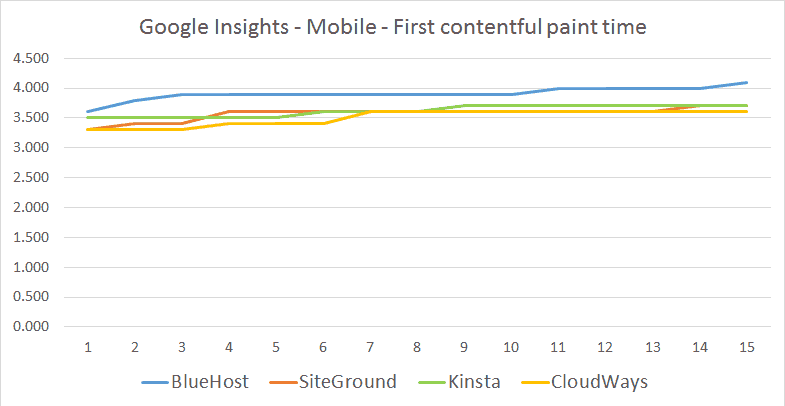 I checked a few times, desktop & mobile, at different hours, in order to have multiple points of comparison. 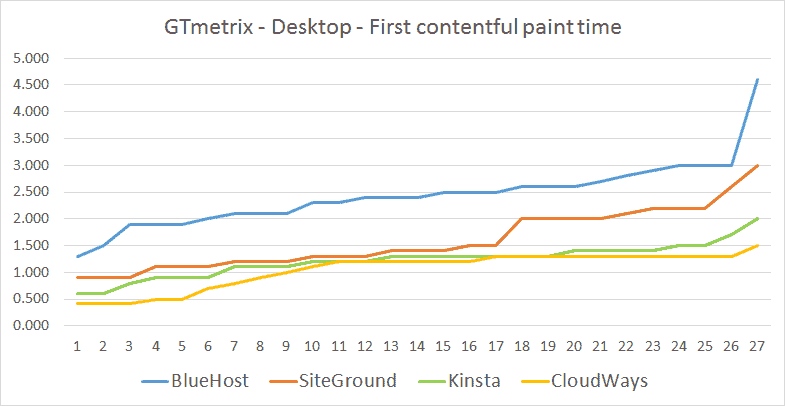 I didn’t combine the results from the different tools to a single graph, because each tool is a little different than the other. 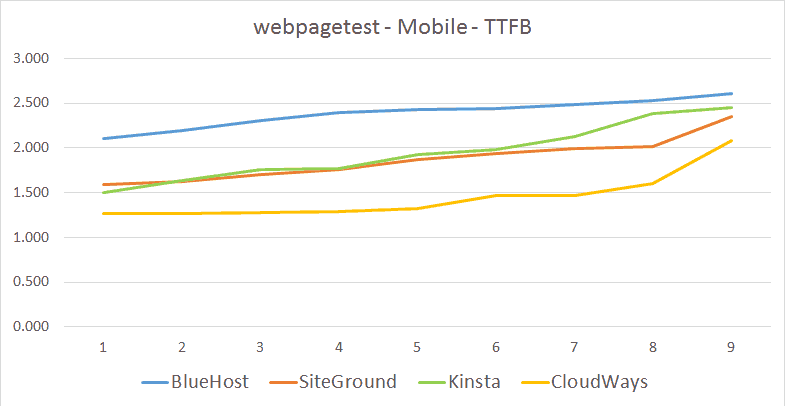 For example, pingdom checks Onload Time while others use Fully Loaded Time, PageSpeed Insights probably uses an emulated browser while the others use real browsers, pingdom & PageSpeed Insights do not support HTTP/2 protocol while the others do. 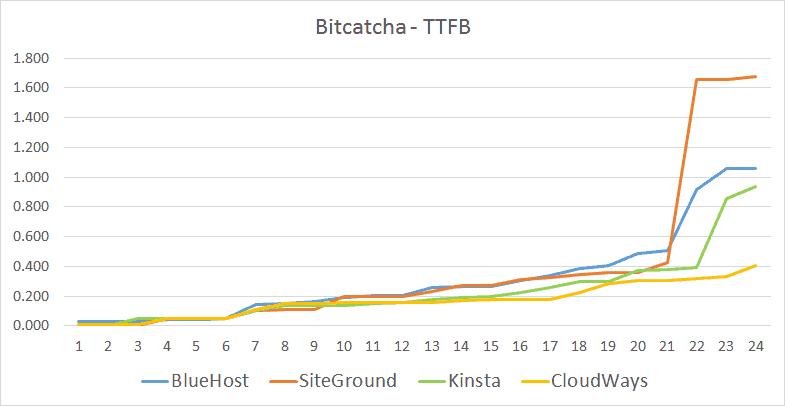 Therefore, differences between the tools are not as important as the differences between the hosting companies in the same tool. The table below contains all the results from the graphs below, green color representing best results, red color representing the worse. 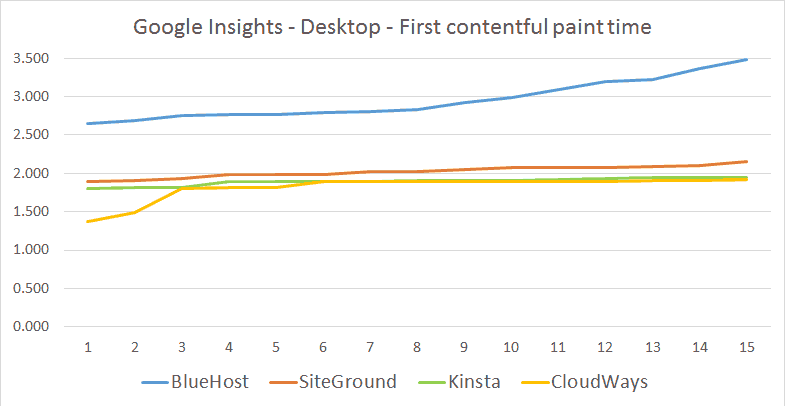 As you can see, there is a clear winner – CloudWays. 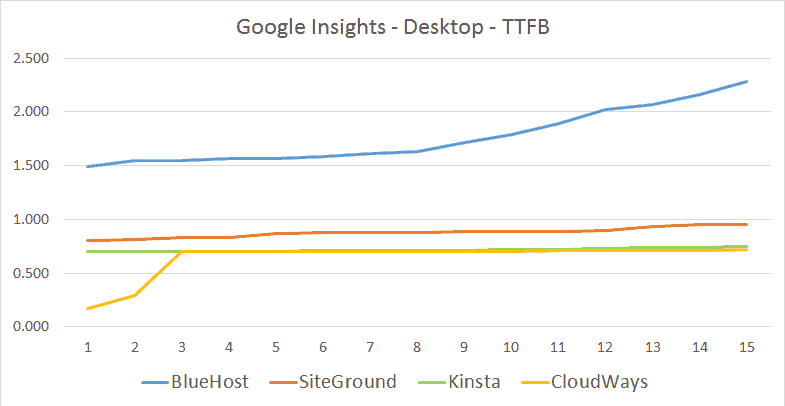 Having seen these results, I contacted Cloudways and asked for a discount for my viewers. Get the exclusive tips and tricks of speed optimization in your inbox. 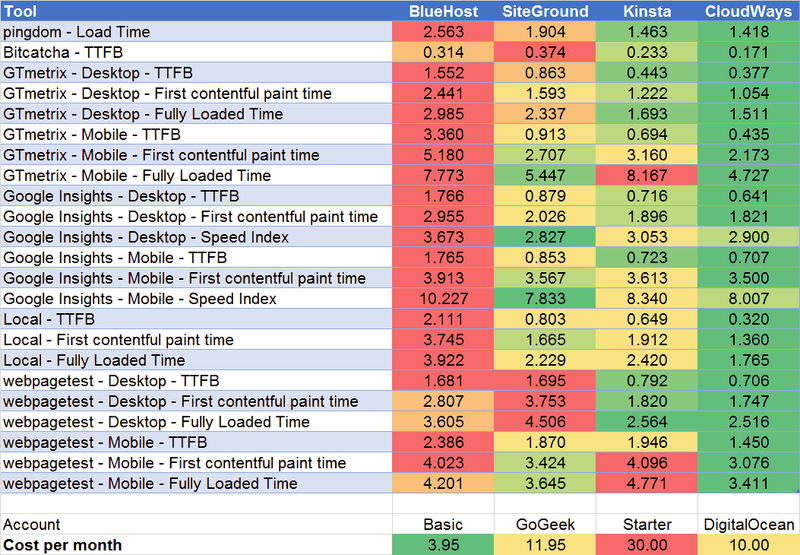 Why do you need a FAST web page? 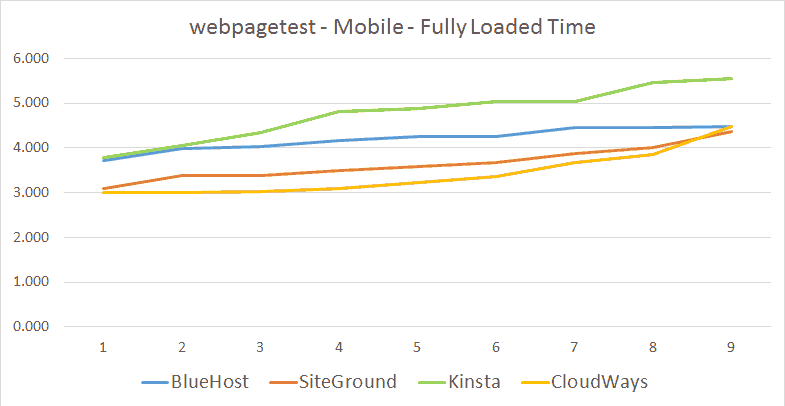 25% of the users and 53% of mobile site visitors will abandon your site if it takes more than 3 seconds to load. 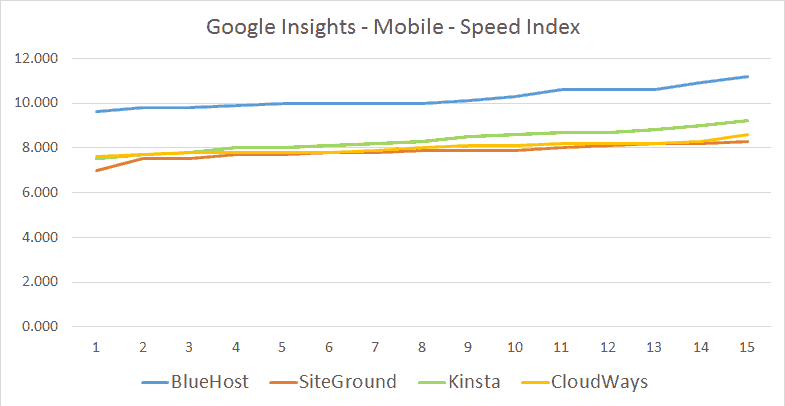 Faster performing sites may rank higher in search engine results. 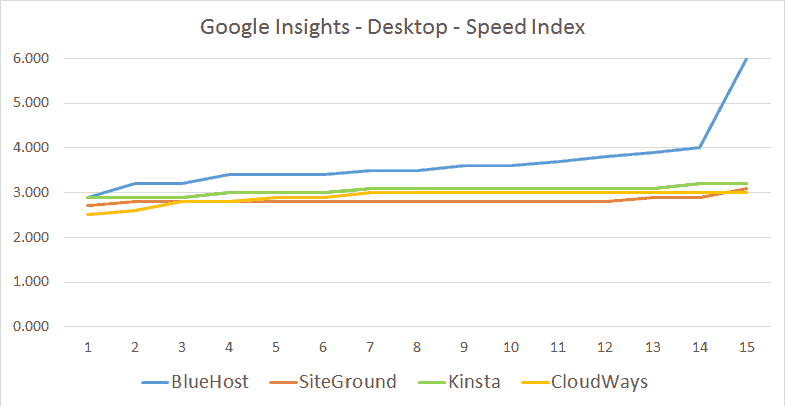 Google has announced they are using page speed in their ranking algorithm. 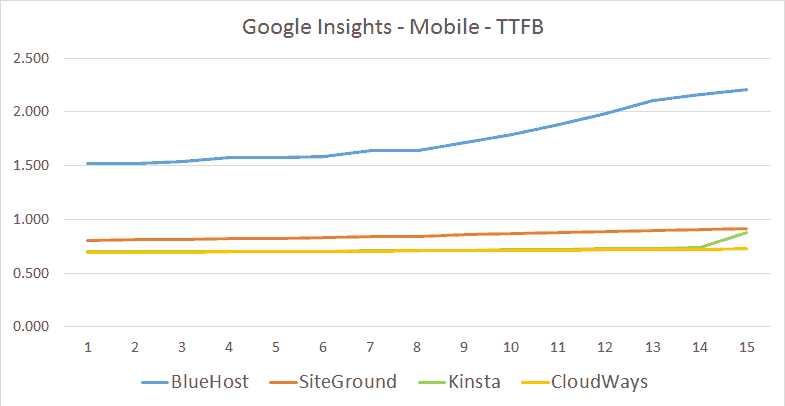 A 0.1 second delay in page response can result in a 7% reduction in conversions. 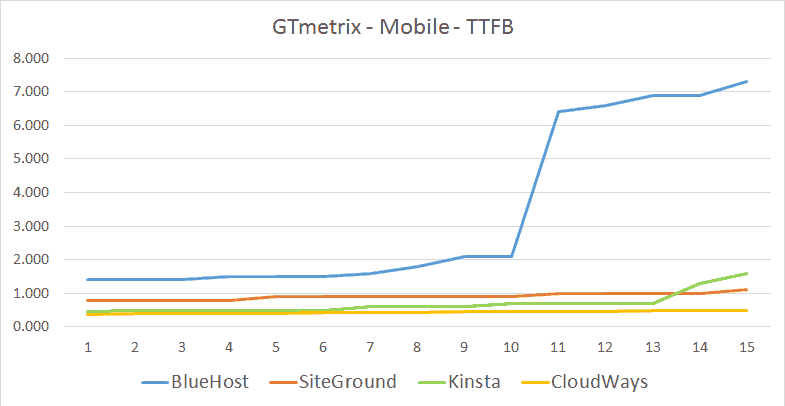 In all of the graphs below, the lower the line, the faster the response time. The X axis represents test points and the Y axis represents duration in seconds. 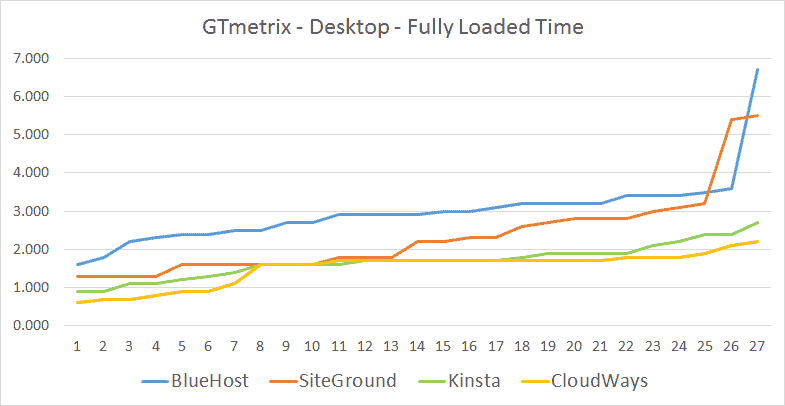 Since I checked every hosting multiple times, from several places around the world at different times of the day – I got dozens of results and ordered them from low to high. 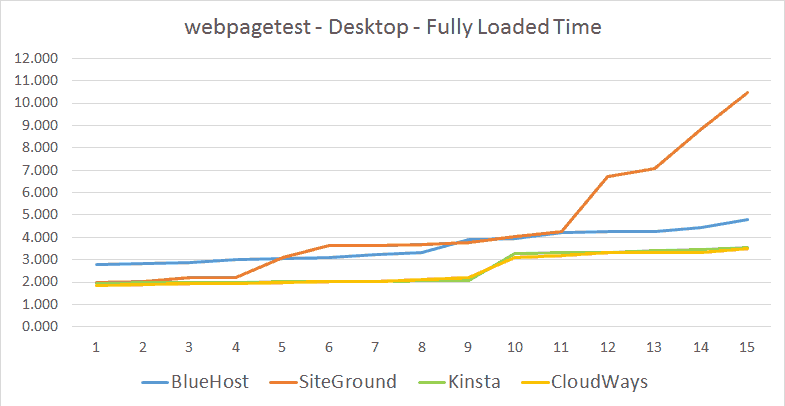 As you can see, even the fastest hosting may have some glitches, but CloudWays is the absolute winner. 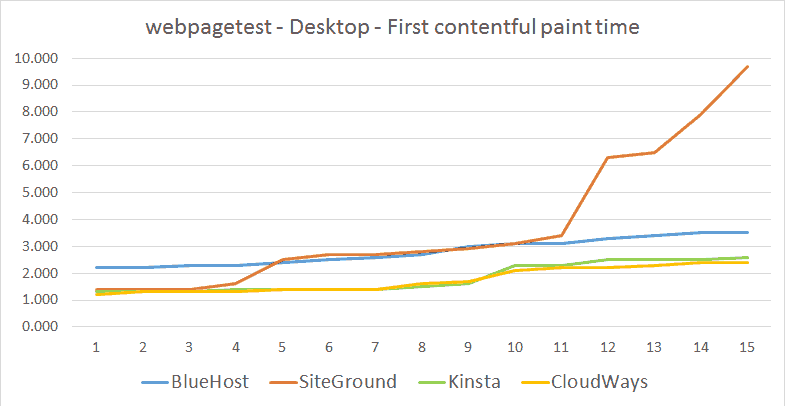 In the near future, I am going to compare various tools/plugins/services so we can see real results of performance tests. Don’t forget to sign in so that you get notified when I publish the articles. I will not share or trade online information that you provide me.